Spring-loaded spacer wedge for unhindered plunge cuts. Tool-less play setting on the guide rail. Quick-acting brake system for safe, convenient sawing. 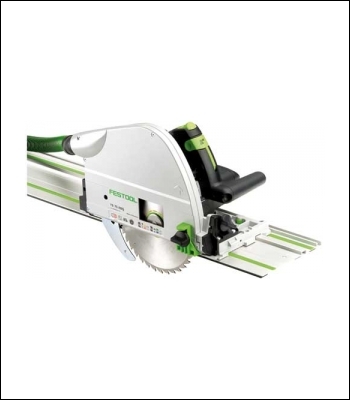 FastFix: quick and easy saw blade changing and adaptation to the working material. Attachable splinterguard for high-quality working results. Precise circular in materials up to 75mm thick. Cutting house doors to length using guide rail and circular saw. Cutting and machining conservatory profiles.